This past September, Puerto Rico, the Caribbean island where I was born and raised, went through its worst natural disaster in modern history: Hurricane Maria. Two weeks before Maria, the island had already gone through Hurricane Irma. After the passing of these two hurricanes, 3.5 million people were left without power and running water. For weeks, many Puerto Ricans in the island had very little access to food and drinking water. Four months after these two hurricanes, half of the island is still without power. Seeing the devastation in Puerto Rico was heart breaking to say the least. During my daily meditation practice, I kept hoping to get some insight on ways to help my island. I knew that despite all the work that needed to be done, I could still contribute somehow even if it was just in a smaller scale. As I meditated the word yoga kept coming to mind. Yoga, which in Sanskrit means “ union” or “yoke,” has been a source of personal strength and comfort in my life, most especially during difficult times. For the past ten years, yoga has helped me find mental, spiritual and physical strength and balance. As I meditated, I came to the conclusion that I could use yoga as a tool to bring some relief and comfort to people of my island. 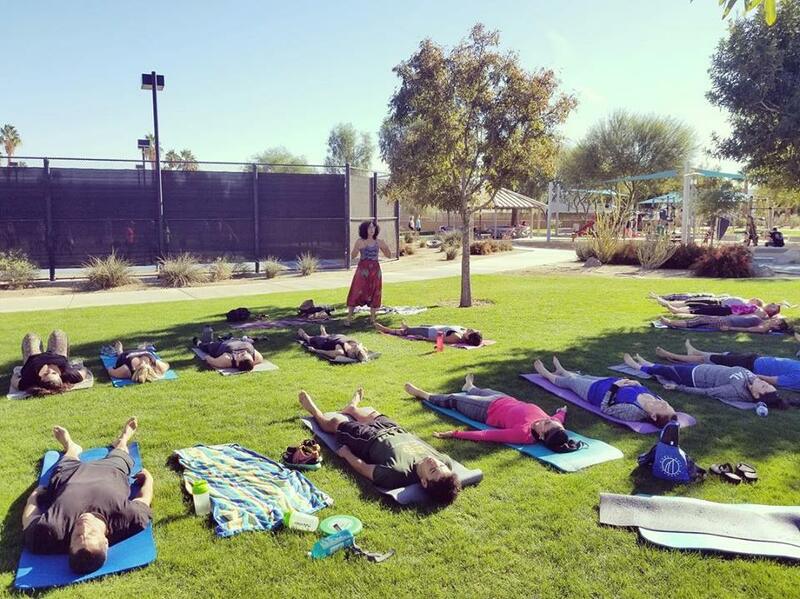 Last September and November, I organized yoga fundraisers in Salt Lake City, Utah and Palm Desert, California. At both events I was able to raise cash as well as physical donations that were sent to the island. Through the support of many of you, we were able to raise almost $12,000. This money helped around five families in the island as well as multiple smaller organizations that are involved in relief efforts. There is still a lot of work to do and it will take years for Puerto Rico to go back to how it was before the hurricanes. As a Puerto Rican yogi, I will continue working on helping the island recover and become even stronger than before. One of the ways I hope to do this is through Raíces Yoga & Culture Retreat. As I have explained in previous posts, we provide our guests with opportunities to seek connection with the culture, traditions, cuisine and most of all the people of Puerto Rico. In our upcoming retreat from May 5-11, 2018 in Puerto Rico, guests will also participate in volunteer efforts to help the island. Also a percentage of what our guests pay for the retreat will go towards hurricane relief efforts. It is important for us as yogis to realize that there is no better place to practice yoga but outside our mats on our everyday lives. We at Raíces Yoga are working very hard on our upcoming yoga and culture retreats in my native country of Puerto Rico. If you are new to our page, you may wonder what makes our retreat so unique from the hundreds of others around the world. Well, I believe I should start by sharing how the idea of Raíces came about. I have been practicing yoga for almost 10 years and have attended multiple yoga retreats. I have loved my experiences but felt a lack of connection to the local people and culture of the retreats’ locations. I understand that many who participate in yoga retreats are looking to disconnect from worldly distractions and go inward. A big part of yoga is to be able to find union not only with our body, mind and spirit but with everything around us. As we grow as yoga practitioners, we realize that the lessons we learn on our yoga mats are meant to be applied not only within ourselves but also with our interactions to those around us. When I decided to start curating yoga retreats in the island, I wanted to provide our guests a balanced experienced that included both opportunities to go inward through posture and meditation practice, but also activities to experience the local culture, cuisine, history and art of Puerto Rico. Raíces guests will leave our retreats feeling refreshed physically, mentally and spiritually, but also with a greater understanding that we are all one and the same. It has been almost two weeks since the conclusion of our New Year 2017 yoga and culture retreat. We are still feeling exhausted but incredibly grateful for this incredible experience. This retreat has surpass all expectation and has set the bar very high for our upcoming retreat from this spring also in Old San Juan/Ocean Park, Puerto Rico. Asanas, or the poses we practice in yoga, are not even part of the first two branches of "yoga" even if they are the aspect of yoga we tend to focus all of our attention on. Ashtanga yoga, or eight limb yoga, separates the philosophy of yoga into eight distinct parts. The first two limbs are observances, the things we do and do not do as we take on the practice of yoga.